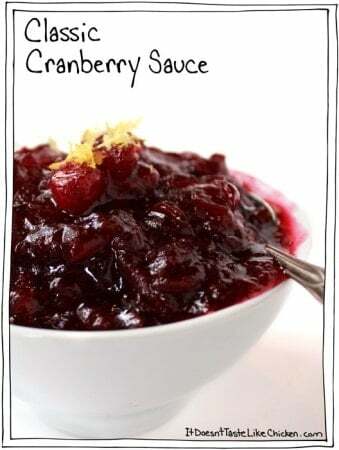 Homemade cranberry sauce is so easy to make but so much better than store-bought! Add all of the ingredients to a medium sauce pan. Bring to a simmer and cook for 10-15 minutes, until the cranberries have popped and it looks all saucy and delicious. It will be thin, but will thicken as it cools.